A Nixon-era White House counsel, described by the FBI as a “master manipulator” during the Watergate cover-up scandal, has slammed a Trump adviser as the “most obnoxious” he’s seen in five decades. John Dean served as a legal adviser to President Richard Nixon during the 1970s and was implicated in obstructing the Watergate investigation. He turned witness for the prosecution during the Watergate trial in exchange for a lighter sentence, spending four months in prison. In a post on social media, the White House lawyer who fell from grace predicted a “fall” of his own for senior Trump adviser Stephen Miller, who in recent hours said his president’s powers “will not be questioned”. 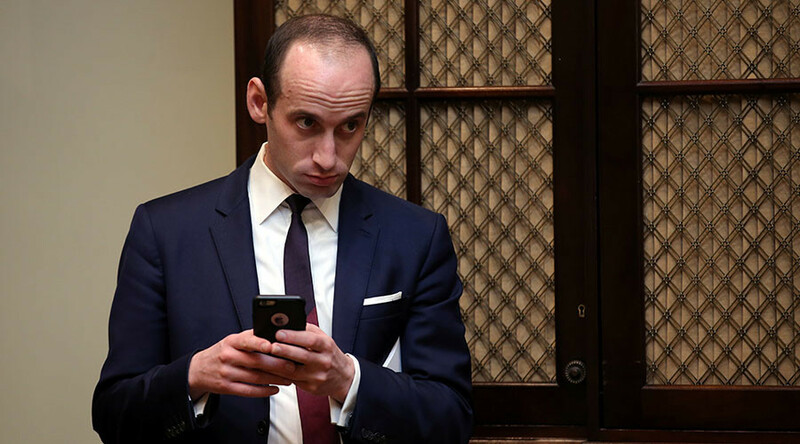 Following the block of Trump’s controversial travel ban executive order by a US federal judge, Miller has been vigorous in his criticism of the judiciary, likening the court stay on the ban to a power grab or “judicial usurpation”. Speaking on CBS’ Face the Nation on Sunday, Miller went further in attacking his own country’s judicial system. Responding to Miller’s comments, Dean, who was involved in President Nixon’s efforts to cover-up a massive political scandal, was cutting in his tweet. However, Dean’s own controversial actions within the White House have not been lost on his fellow Twitter users. This may be the last time I remind you that John Dean was Richard Nixon's White House counsel, and knows whereof he speaks.